Andrew de Burgh Talks About His New Film "The Twisted Doll" - Read Here! As far back as I can remember, I’ve been a huge film fan. My early childhood favorites included “Small Soldiers”, “Toy Story” and “Star Wars: Episode 1 - The Phantom Menace”. I was fascinated with how the filmmakers behind these films created a fictional and believable world out of seemingly implausible stories. As I grew up, I realized that I wanted to be an actor and act in films that would inspire people across the world in the same way that films I had watched had inspired me. I worked exceptionally hard and took many acting classes. I was never one of the strongest students in class but I was determined to make a name for myself in the massive shark tank that is Hollywood. I was warned by many people over the years that pursuing a career as an entertainment professional was a worthless pursuit but I was determined nonetheless. 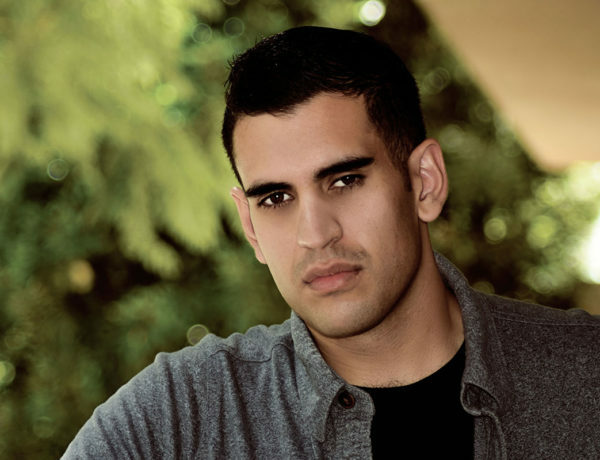 After graduating from Pepperdine University in 2012, I moved to Los Angeles to pursue a career as an actor. Initially, things went well for me. I got a small role in the film “L.A. Slasher” starring Mischa Barton and “Guardians of the Galaxy” star Dave Bautista. I also booked other jobs including a national Vitamin Water commercial. Unfortunately, towards the beginning of 2014, I hit a wall where things weren’t going well. Negativity took over and Hollywood was seemingly becoming the shark tank I always feared it would be. After being persuaded by friends and family to channel my creativity into writing, I set out to write my first screenplay. It was a short script called “Just One Drink”. The script was about a beautiful woman with a dark secret who uses Facebook to lure two young men to her apartment for a New Year’s Eve party. It took four months to create a final version of the screenplay I was happy with. I then set out to make out the film. This would take many more challenging months but almost a year later, I was about to shoot the film. I had managed to cast Barbara Nedeljakova, one of the stars of the hit horror film “Hostel” as the lead (a major coup for a beginning filmmaker). I was going to act in it, direct and produce it. I was completely throwing myself in the deep end but I was determined to do my best and see what would happen. The shoot went really well and after the film was edited, I was ready to get it seen by as many people as possible but I knew all too well how competitive Hollywood was and I had no expectations. Luckily, I was blown away by the success the film achieved. In addition to several official selections at film festivals, the film got a 100% score on review aggregator site Rotten Tomatoes, something that rarely happens for feature films, let alone short films! The film was also distributed as an editor’s pick by leading short film distributor Shorts International, the company that distributes the Oscar winning short films. As you can imagine, I was beyond ecstatic with how the film was received. A few months after this, I booked a series regular in the Emmy nominated teen drama series “Youthful Daze” and got to work with some daytime legends including Sarah Joy Brown, Sean Kanan, Melissa Archer, Carolyn Hennesy and Eden Riegel. Looking back, I’ve been fortunate to have had some very substantial luck over the years. Earlier this year, I was determined to make another film but was initially apprehensive since I didn’t think I could surpass the success my debut film had. 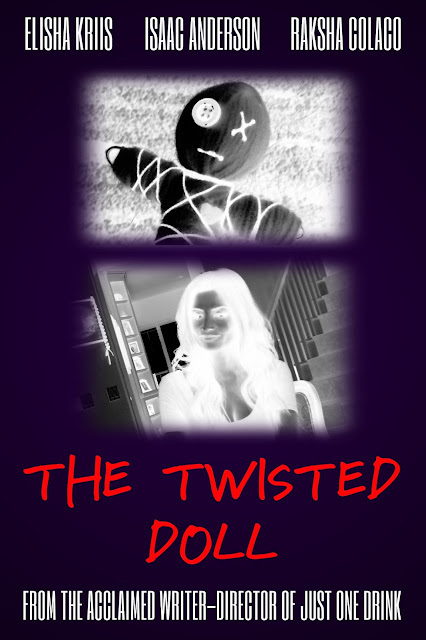 I eventually took the plunge and I recently completed a new short film called “The Twisted Doll”. The film tells the tale of Pooja Chopra (Elisha Kriis), a disturbed young woman whose best friend Sarah sets her up on a date with Jack Gerrard (Isaac Anderson), assistant to crooked real estate tycoon Jeffrey Delap. After the two seemingly hit it off, they start dating. Three months later, chaos enters their relationship when Jack realizes that Pooja may not be who she purports to be. In addition to writing, directing and producing, I did cinematography and edited the film. It was a lot of work but I’m grateful I got the film made. It’s an experimental film and with it, I aimed to make an intriguing film that combines early black and white silent film storytelling with a modern day psychological thriller twist. It’s inspired by many of my favorite directors, including Christopher Nolan, Stanley Kubrick and the legendary Georges Méliès. The film features a mostly synth score by Dan Sroka. Rising music star Shannon K wrote lyrics and did vocals on the final track. I’ve entered it into dozens of film festivals and sincerely hope people will respond to it positively. At the end of the day, the film and TV industry is absurdly tough but it’s important to keep on hustling whilst trying to remain positive at the same time. To the readers who are potentially considering a career in entertainment, go for it! You only live once and it’s important to do what makes you happy. Soap Opera News: Andrew de Burgh Talks About His New Film "The Twisted Doll" - Read Here!